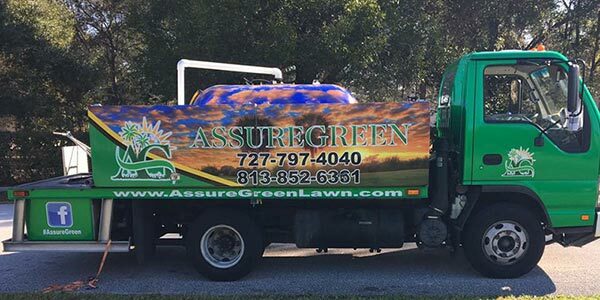 Having the best looking lawn on the block is not always easy to achieve, especially in times of drought, however with a little planning and care you might be surprised at what you can accomplish. Like most things in life, the biggest secret to great looking lawns is consistency. 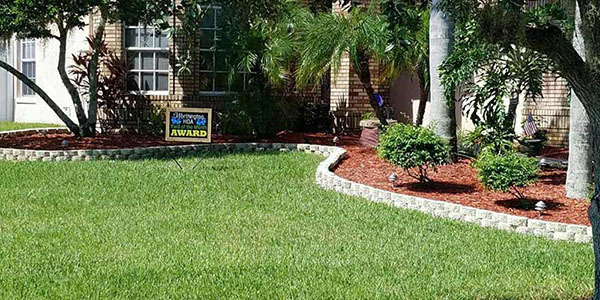 Often good care will revive a damaged lawn, but sometimes you may simply have to start again. Either way, good planning will go a long way to ensuring the success of your lawn. This first step will be considering any problem areas you may have and deciding if the existing grass can be restored to healthy lawn. If the existing grass turns out to be too damaged or the wrong type of grass, you will need to consider re-sodding. This is a major decision, so you have take the time to choose your new turf carefully. By choosing the right grass type for your space you are halfway there as the grass will perform better with less care if it is well suited to the situation. Whether you are reviving your existing lawn or resodding, they may be tricky areas to take into consideration. You should consider if slope stabilization is needed, is an area under a tree better off converted to garden or lawn alternatives? Do you have areas of high wear which would do better to have a path or stepping stones installed? These problem areas will significantly detract from the overall effect of an otherwise perfect lawn so are well worth addressing rather than struggling against. Lawns do not need to be high maintenance to work well, however to be the best lawn in the street, regular care is needed. This includes regular watering and mowing and taking the time to notice any damage while it is still small and easily repaired. A good lawn is one which is not subject to stress, so taking the time to provide the care a lawn needs before it shows signs of stress will be critical in maintaining a beautiful lawn. The amount of water a lawn needs will vary according to grass type, amount of wear, exposure to sun and wind, soil type and climate. Generally a deep watering once a week is sufficient, but this could be more or less depending on your conditions. Always ensure you give a lawn a deep watering to encourage deep roots and a stronger plant. To be successful you should allow the lawn to dry out a little between watering as this will encourage deeper roots and reduce the risk of over watering and associated fungal issues. You should also be sure that you are up to date on the local watering restrictions. Regular mowing is probably the most critical factor of all in keeping a lawn healthy and beautiful. The best lawn in the street is never left to grow long before it is cut, and therefore never looks untidy. Mowing height will need to be adjusted to suit your grass type and your preferred lawn length, but a couple of points to keep in mind are: mowing too short will scalp a lawn and cause stress; mowing too long will cause excess thatch build up and a spongy feel to the lawn which can harbour pests and diseases. Always ensure that at least a third of the green leaf blade remains after mowing and try to keep the lawn height in the range of 2-5cm. Regular mowing will mean only a small amount of leaf needs to be cut each time and the lawn will always look neat. Regular mowing will also encourage thick lawn growth which will out-compete weeds and reduce the chance of weed problems in the lawn. Regular mowing usually means weekly throughout the summer growing season. Regular fertilizing can make the difference between a good lawn and a great lawn. Always take care when fertilizing to ensure you do not over-fertilize which can be more damaging to a lawn than not fertilizing at all. Again, the amount you need to fertilize will depend on your lawn conditions. In general the more lawn clippings you remove from a lawn during a season, the more it will need fertilizing. Therefore over summer when there is more to cut, the lawn will need more fertilizer than over winter when very little is happening. A regularly mown lawn will do well to be fertilized 4 times per year at low dose rates – usually spring, twice in summer and again in the fall. Even healthy lawns can suffer attack from pests and diseases. Regular attention will allow you to notice and address any problems while they are still small and easily dealt with. For more information regarding common pest and disease problems to be on the lookout for, click here.